Square Dancing is the American folk dance which is called, cued, or prompted to the dancers, and includes squares, rounds, clogging, contra, line and heritage dances. 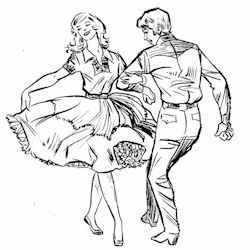 The Square Dance has a long and proud history. It is an exciting art form that is truly an original of our country, and has been danced continuously in California since the "Gold Rush Days." As our state's population has grown, so has the square dance activity. 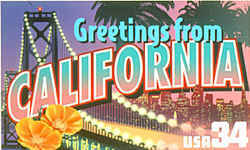 California leads the nation with more than 200,000 residents square dancing weekly. 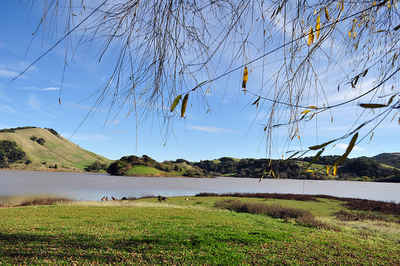 It conforms to our ever changing lifestyles and appeals to people of all ages, races, and creeds. 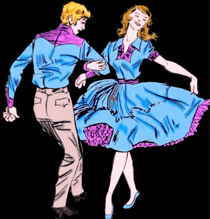 Class distinction is forgotten when people join together to enjoy the true fellowship of the Square Dance. Square dancing is the American folk dance which is derived from folk and courtship dances brought to the United States by European immigrants and traces its ancestry to the English country dance and the French ballroom dance. It is called, cued, or prompted to the dancers. It includes squares, rounds, clogging, contra, line, the Virginia reel, and heritage dances. When the pioneers came west, they brought with them a dance called the quadrille, which means square in French. The pioneers liked the simpler term and so the square dance was born. The dance is known for its series of figures and footwork. Dancers are directed by a caller. It is easy to learn, a good form of exercise and fun. 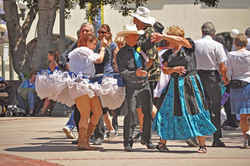 The law designating the Square Dance as the official California state folk dance is found in the California Government Code, specifically Title 1, Division 2, Chapter 2, Section 421.5b. CHAPTER 2. STATE FLAG AND EMBLEMS. 421.5. 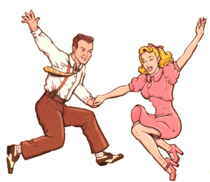 (a) West Coast Swing Dance is the official state dance. (b) The Square Dance is the official state folk dance.